with Jason Lawrence on snare drum! On tues the 15th 7:00 I'll be playing at 68 Jay st with Jonathon Haffner alto. This is a great little bar scene in Dumbo. No cover and a bunch of out steel music. 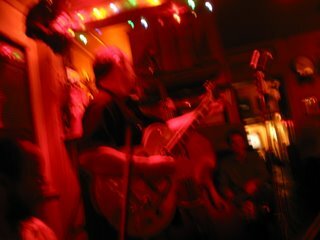 Weds 16th its Sunny's in Red Hook, Conover and Beard, around 9:30 Its The Smokey Hormel Western Band. This is a fantastic scene.